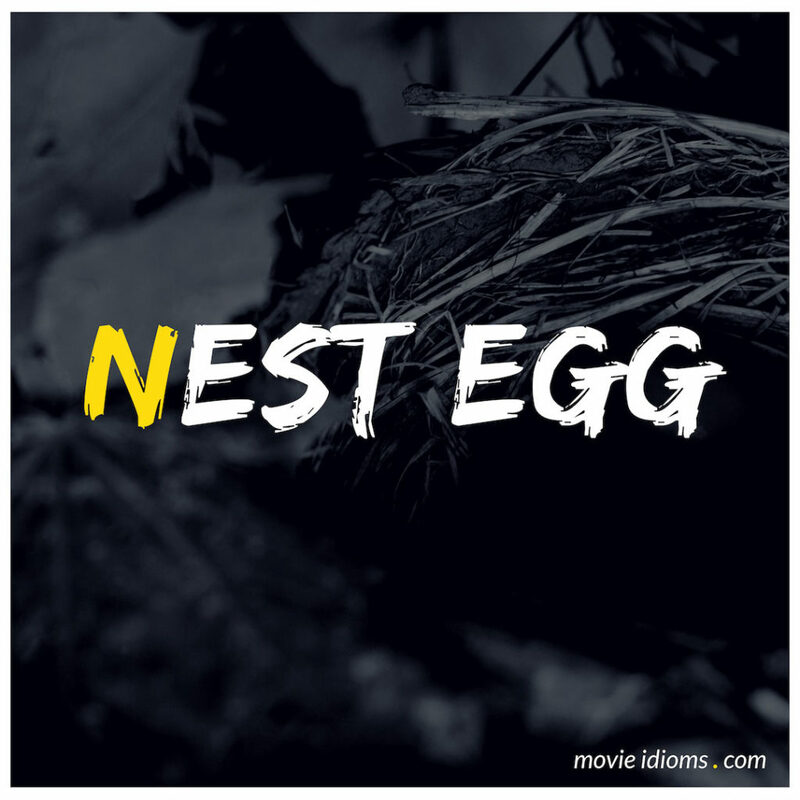 What does nest egg mean? Julian Sark: Eight hundred million dollars? I have nowhere near that amount in my nest egg. Ushek San’ko: That, Mr. Sark, you do. Clinton Hogue: Is this a joke? Felicity Smoak: Clinton Hogue. Social security number 306003894. Clinton Hogue: What the hell’s this supposed to be? Felicity Smoak: Oh, look at this. You have a bank account in the Cayman Islands. Wow. 2 million. Quite a the little nest egg. But looks like you just approved a wire transfer of 1 million to a charity here in Starling City. Very generous. What should I do with the rest? David Howard: Say it! Say it! Say, “I lost the nest egg.” Go on. Say it!